Dr. Bonnie Clipper is the Vice President of Innovation for the American Nurses Association. Prior to joining the ANA, Dr. Clipper has served as a Chief Nursing Officer for Cornerstone Hospital of Austin, the Medical Center of the Rockies, St. David’s Medical Center and RUSH-Oak Park Hospital. Dr. Clipper completed her Doctor of Nursing Practice at Texas Tech University. She received a Master of Business Administration from Lewis University, a Master of Arts in Health and Human Services Administration from St. Mary’s University and a Bachelor of Science in Nursing from Winona State University. She serves as Clinical Assistant Professor at Texas Tech University. Dr. Clipper has been practicing for over 30 years, spending the majority of her career in leadership and executive nursing roles transitioning over the past four years to focus on innovation. In addition, she serves on the advisory board for Telehealth and Medicine Today and speaks throughout the country on topics of interest to nursing leaders. Dr. Clipper is a Robert Wood Johnson Executive Nurse Fellow alumna, an ASU/AONE Executive Fellow in Health Innovation Leadership Fellow alumna and a Fellow in the American College of Healthcare Executives. Her research interests include building cultures of innovation and millennial leadership development. 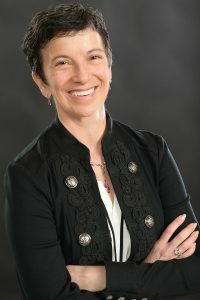 She has authored the book The Nurse Managers Guide to an Intergenerational Workforce and was a co-author of The Innovation Roadmap: A Guide for Nurse Leaders. She also has a very active social media presence as @ThoughtleaderRN. Her superpower is being a connector! Another health innovation initiative produced by http://Energizing.Health.